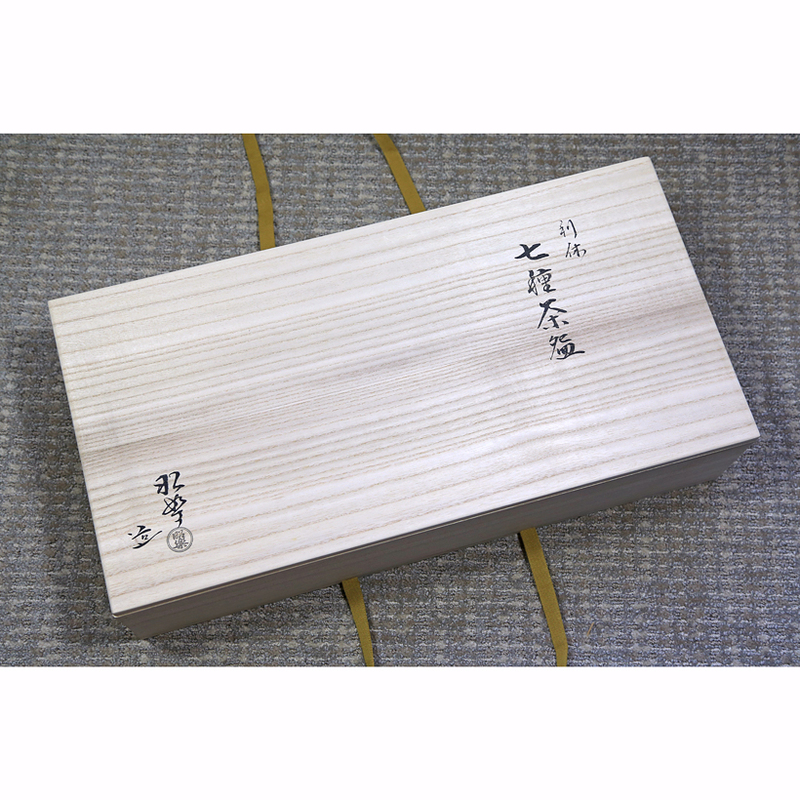 Packaged in an artist-signed wooden box that holds all 7 bowls and has two small drawers for keeping Matcha accessories. 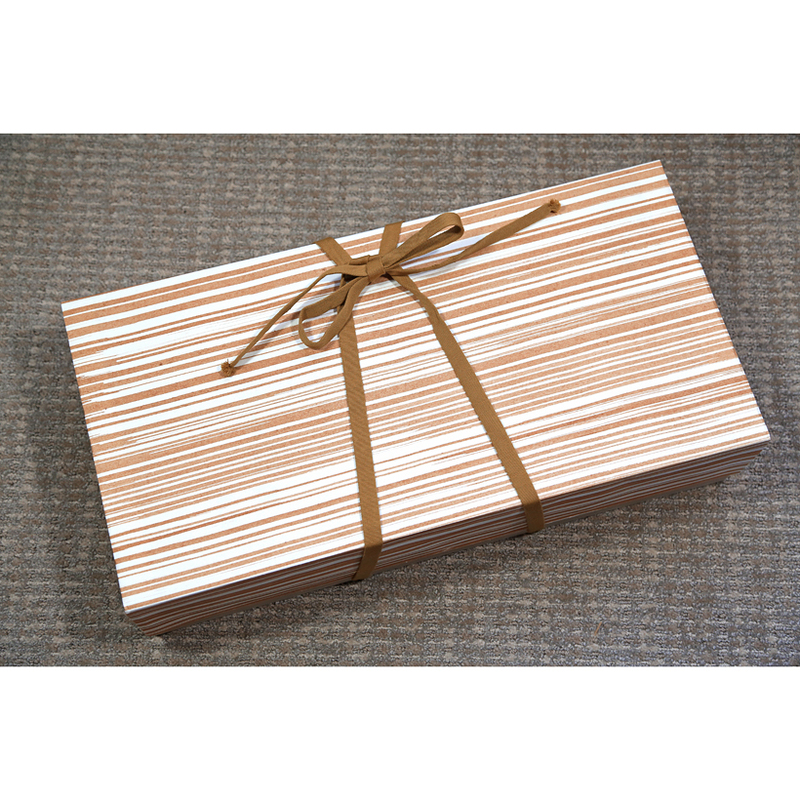 We are able to ship this boxed set to all 50 US states but are unable to ship this item overseas. 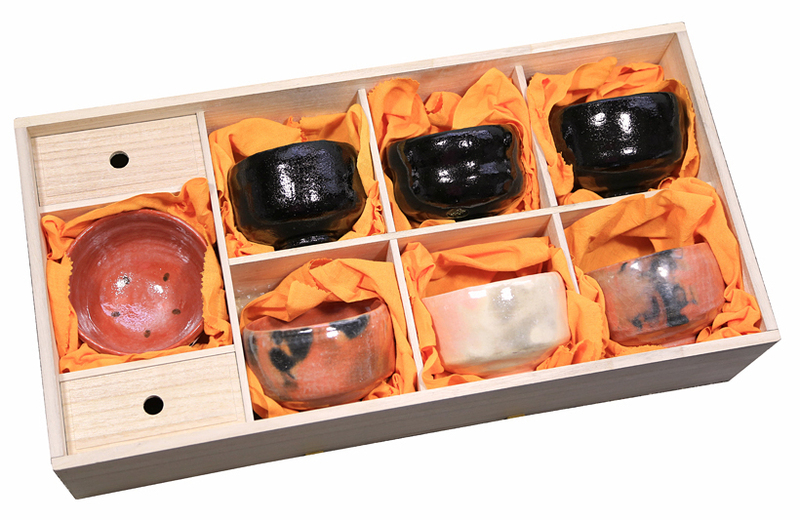 This stunning set is comprised of 7-Raku-yaki tea bowls that are replicas of the original tea bowls commissioned by Rikyu, Japan’s most influential 16thC Tea Master for his use and that of his illustrious noble and wealthy students. 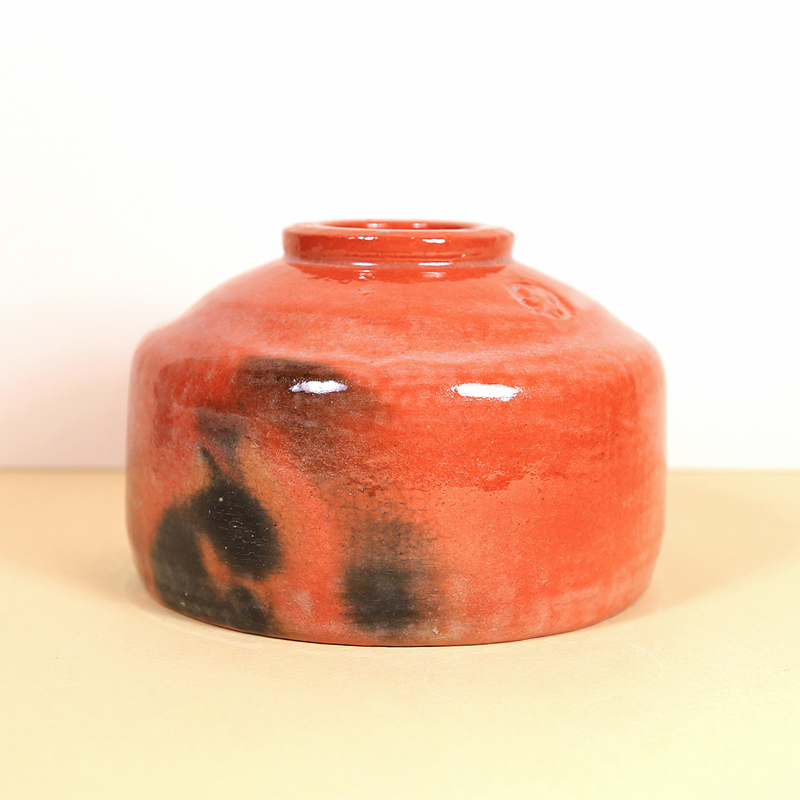 Four of the bowls are Aka-yaki (red) raku; and three are Kuro-yaki (black) raku. 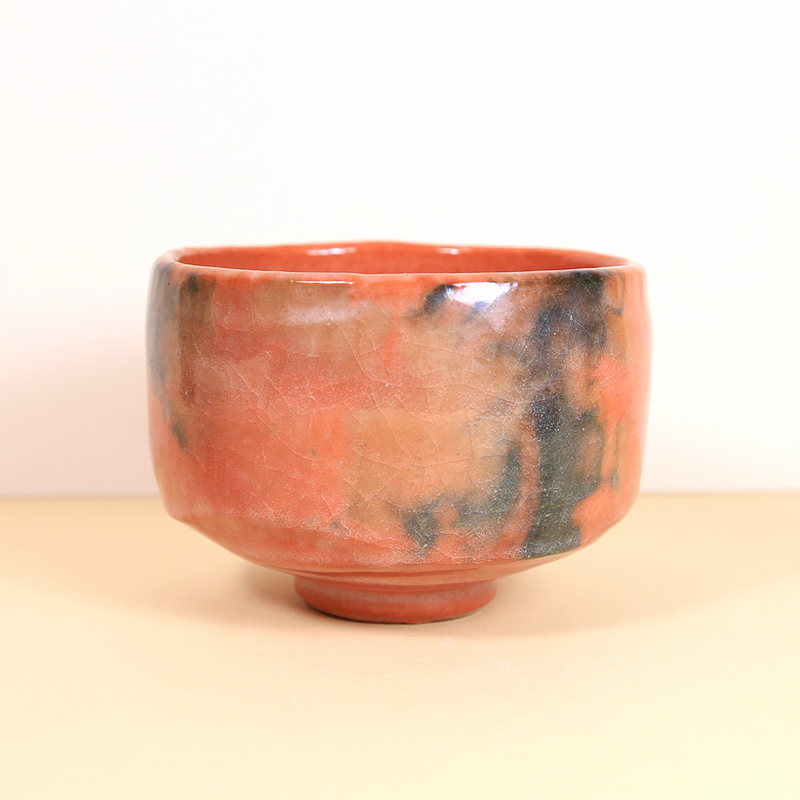 According to the history of tea development in Japan, Raku tea bowls were the collaboration between Tea Master Sen Rikyu (1522-1591) and the Korean potter Chojiro (1516-1592) who was working in Japan Chōjirō produced bowls for Chanoyu, the Japanese tea ceremony at Sen Rikyu’s request. 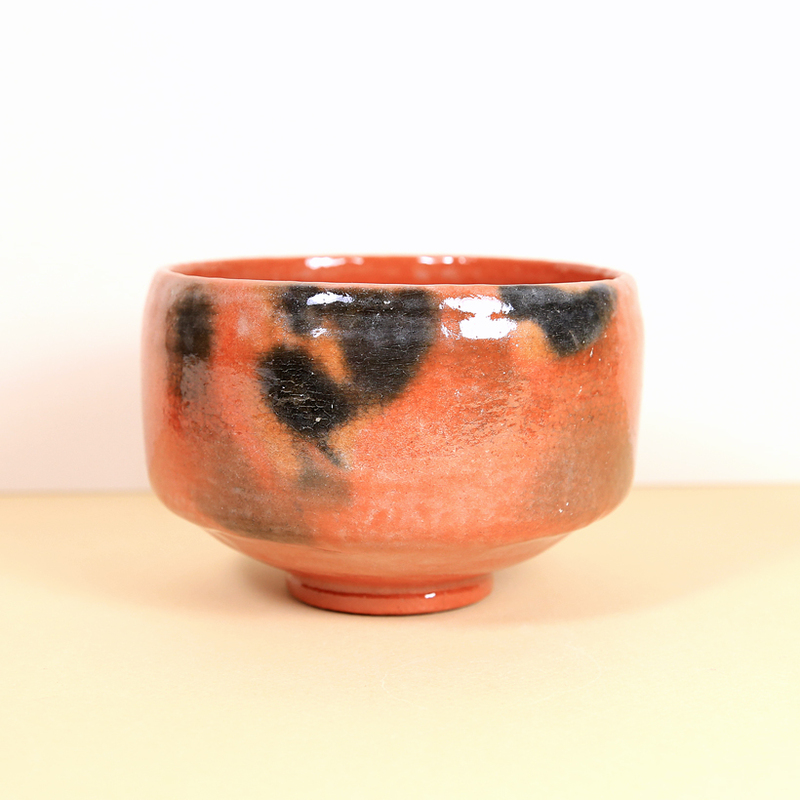 These tea bowls were made of soft pottery and featured un-embellished, black or dark red /black glazes. 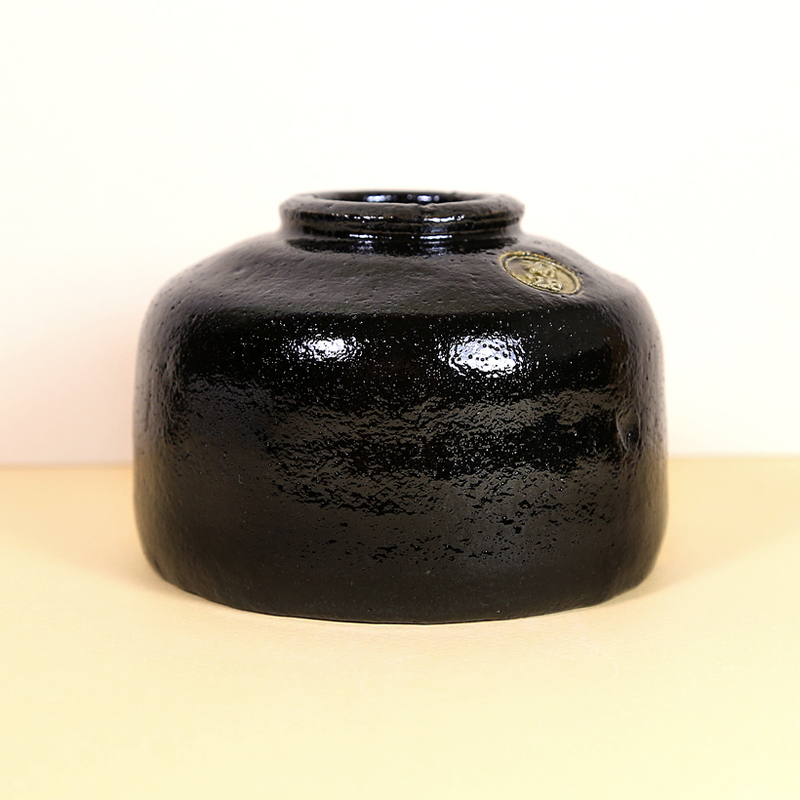 For his contributions, Chôjirô was given the family name Raku. 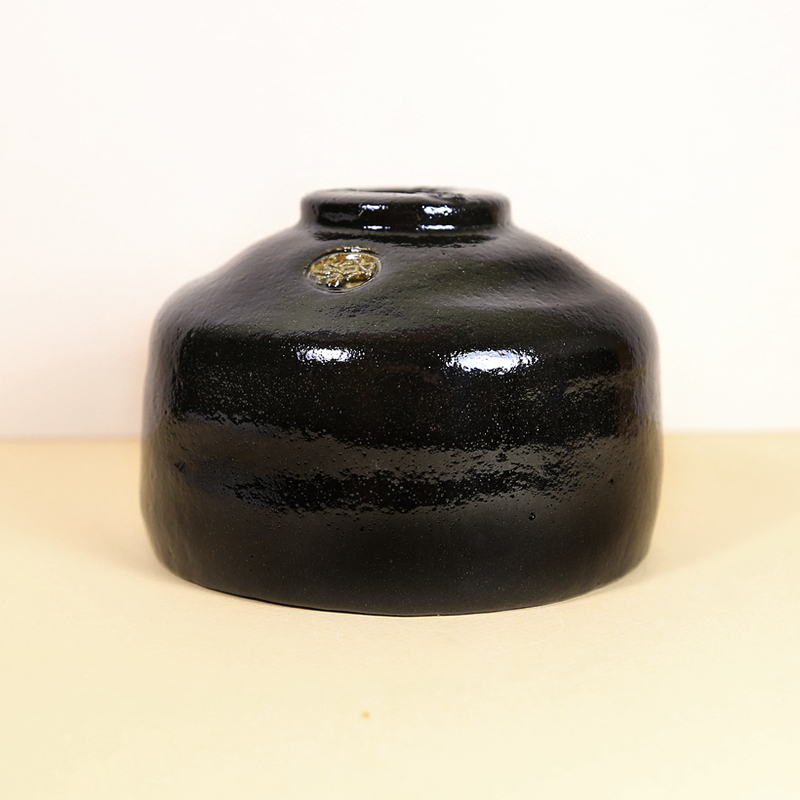 Chôjirô’s offspring continued the Raku family lineage, each becoming influential potters contributing to the stylistic development of tea bowls. 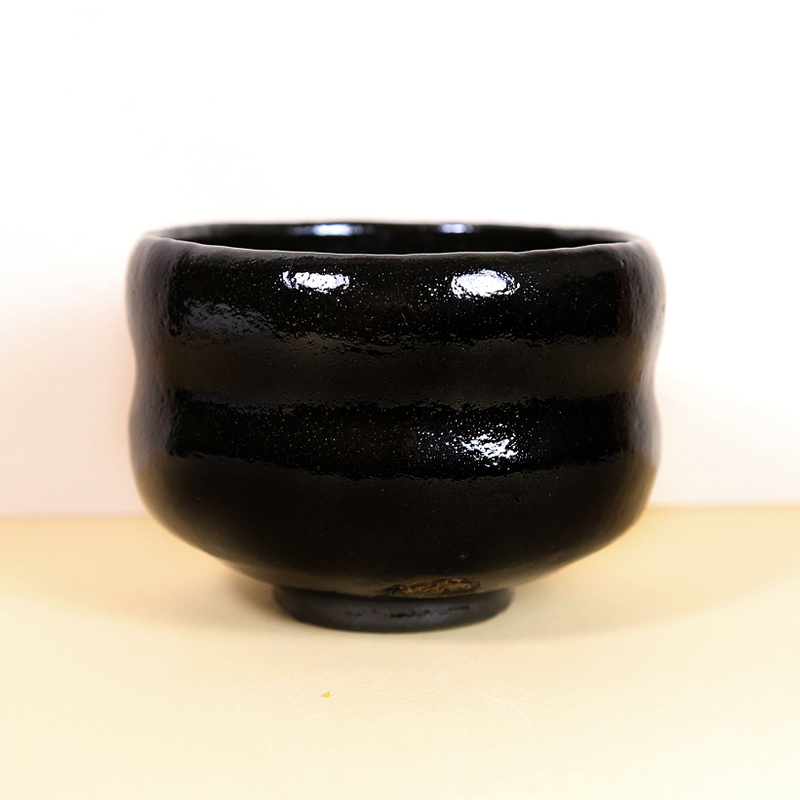 Very few of these early tea bowls still exist, but some that do can be seen in museums in Japan, Europe and the USA. 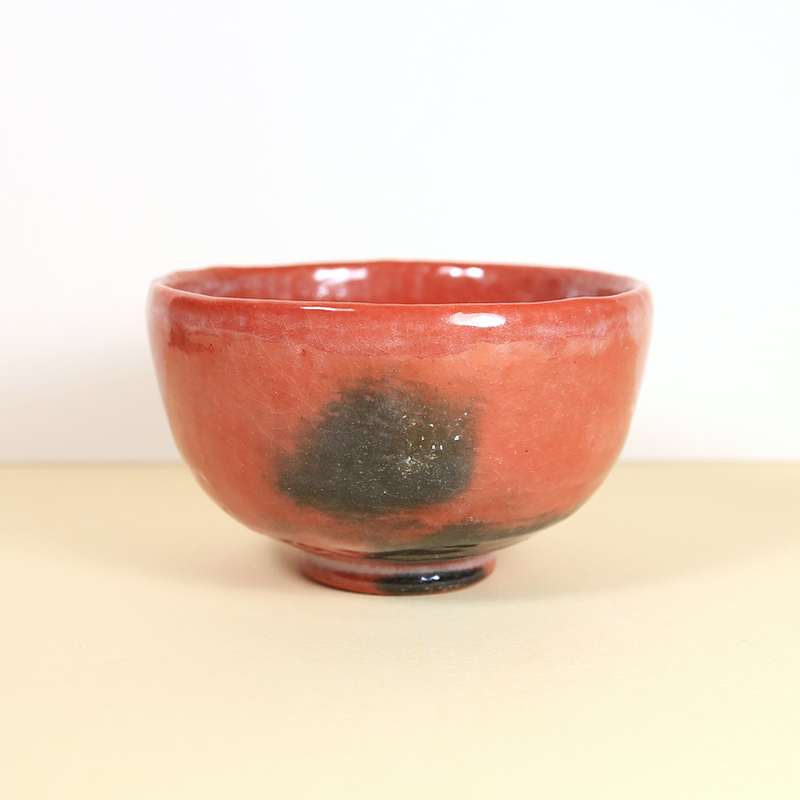 All Raku family tea bowls are named and have traceable histories. 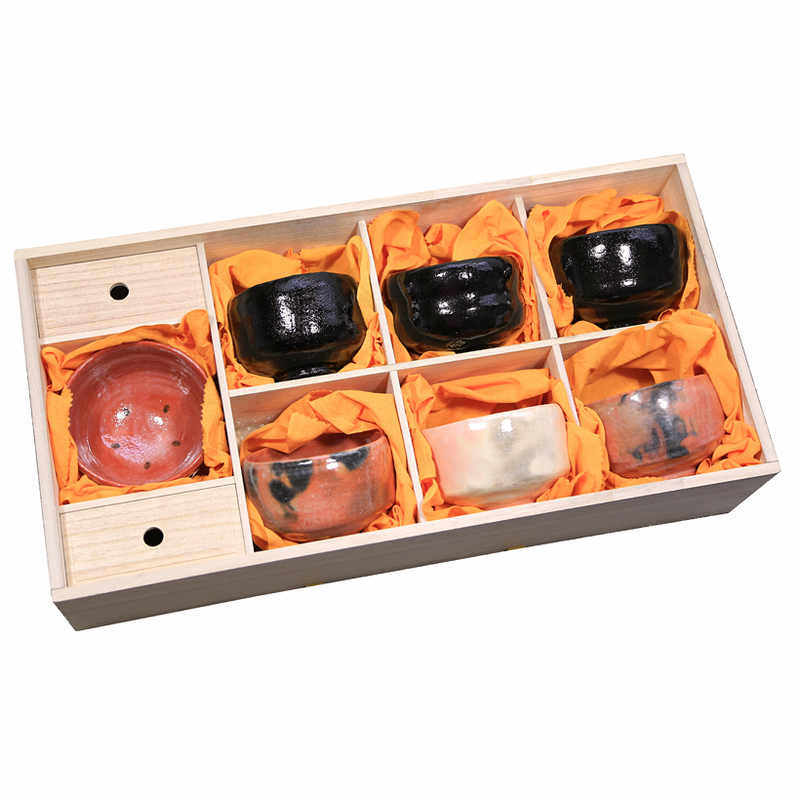 These tea bowls are priceless, and are considered Cultural Assets or National Treasures in Japan. 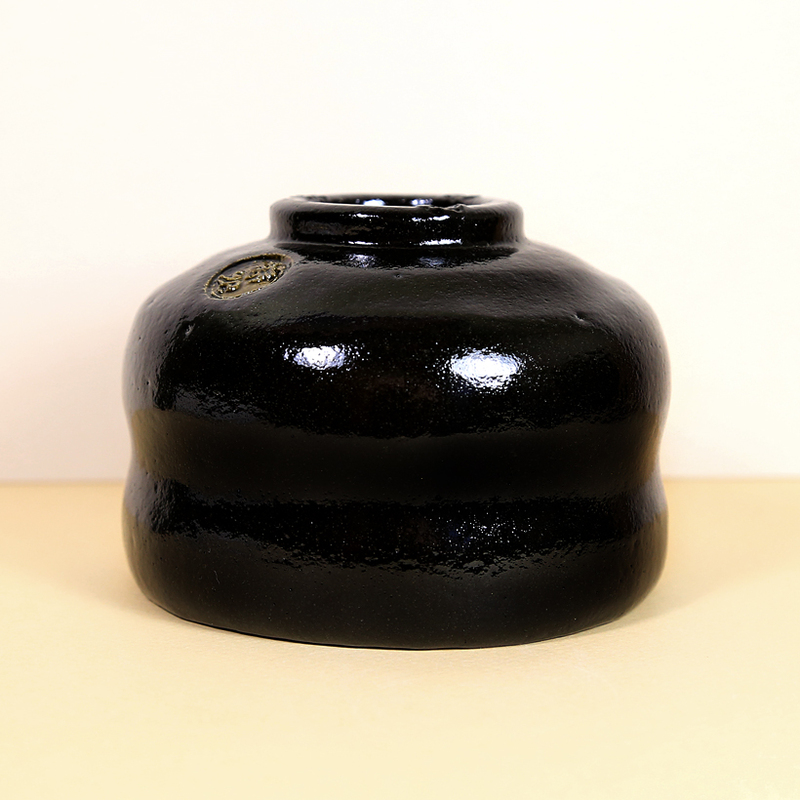 The Raku Museum in Kyoto, Japan, privately owned by the Raku family, treats visitors to a stunning display of historic tea bowls made by successive members of the Raku family, beginning with the first Raku, Chôjirô. 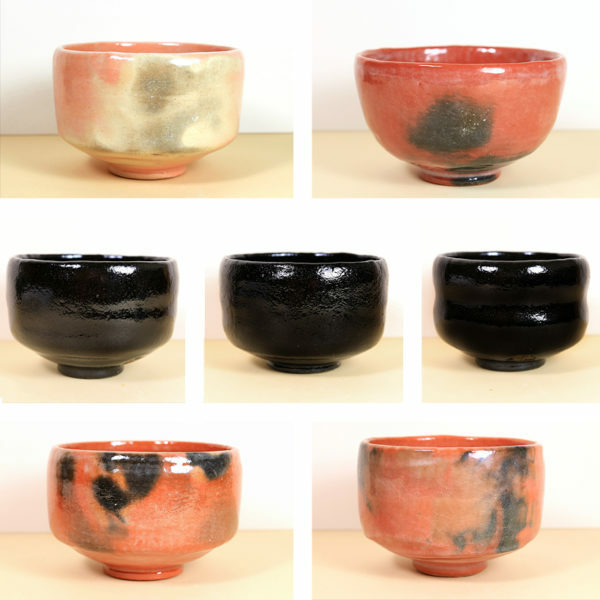 This collection of Raku tea bowls are generous in size and have the warm, soft feel that is unique to Raku ware. 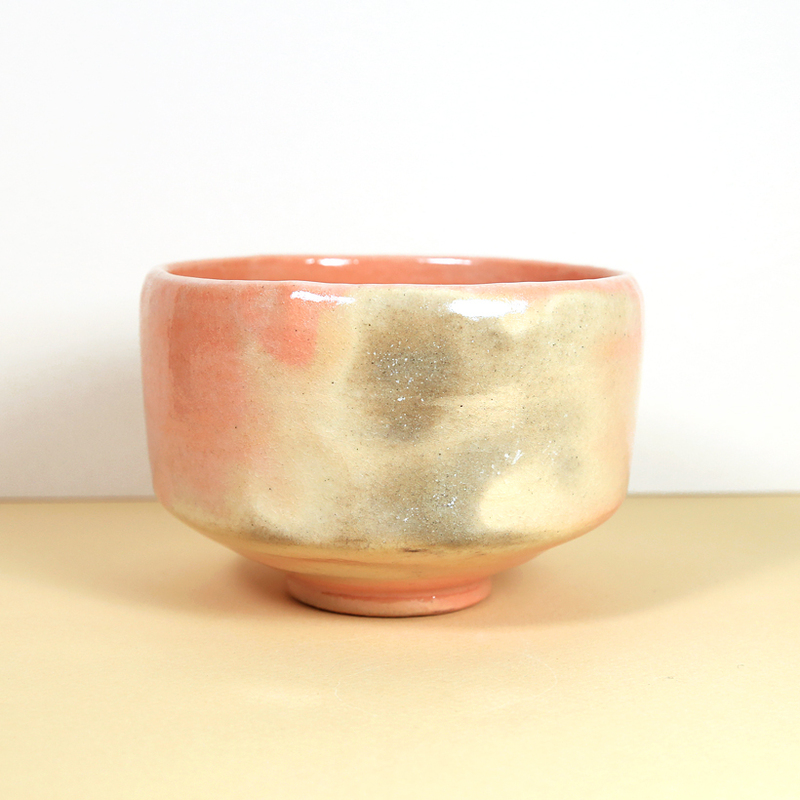 Subtle undulations in the surface of the tea bowl provides some texture for the fingers to discover and appreciate. 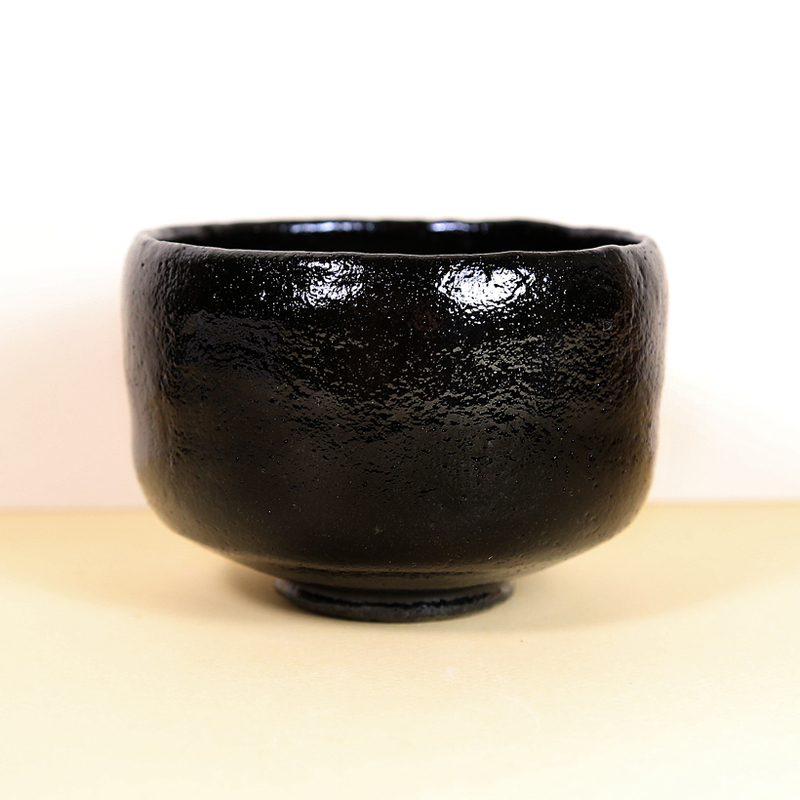 But overall, the surface of the tea bowl is smooth and confident and the aesthetic is spare of distracting decoration. 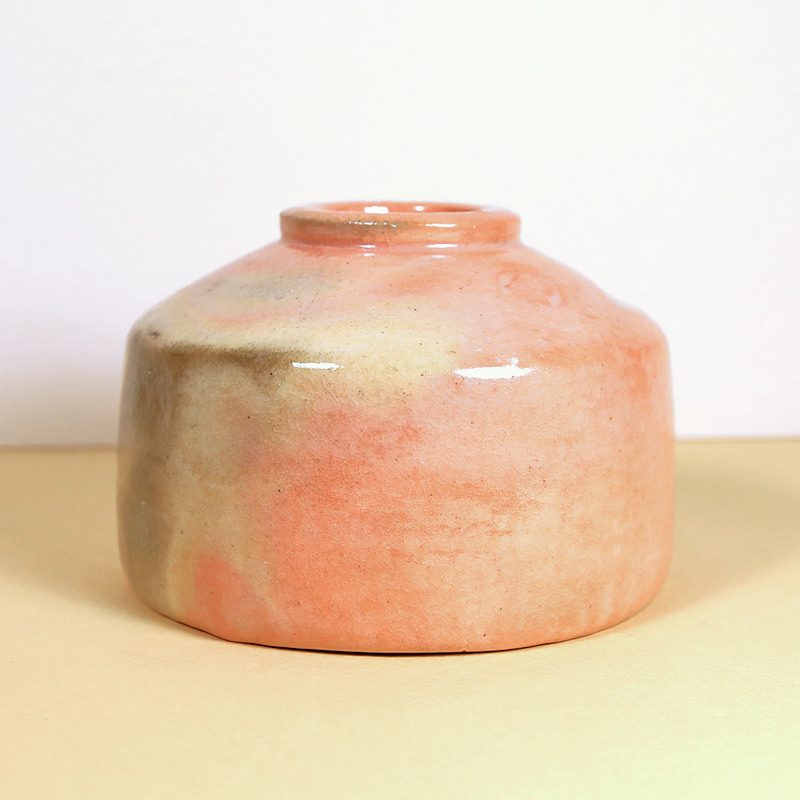 Mr. Shoraku Sasaki 3rd is a famous Raku-yaki potter who lives in Kyoto, Japan. 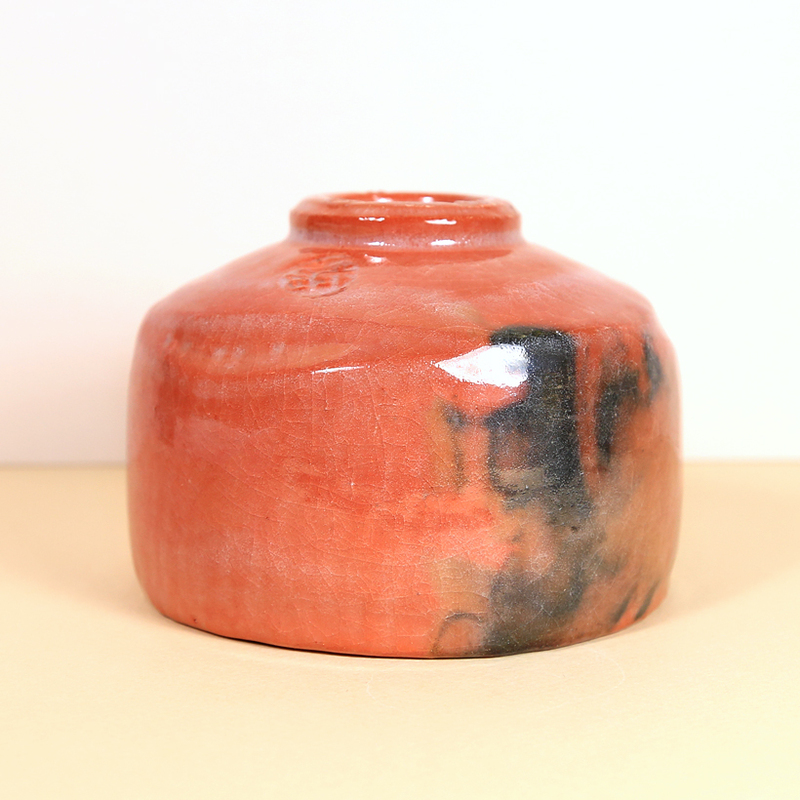 His seal is impressed in the underside of each tea bowl. 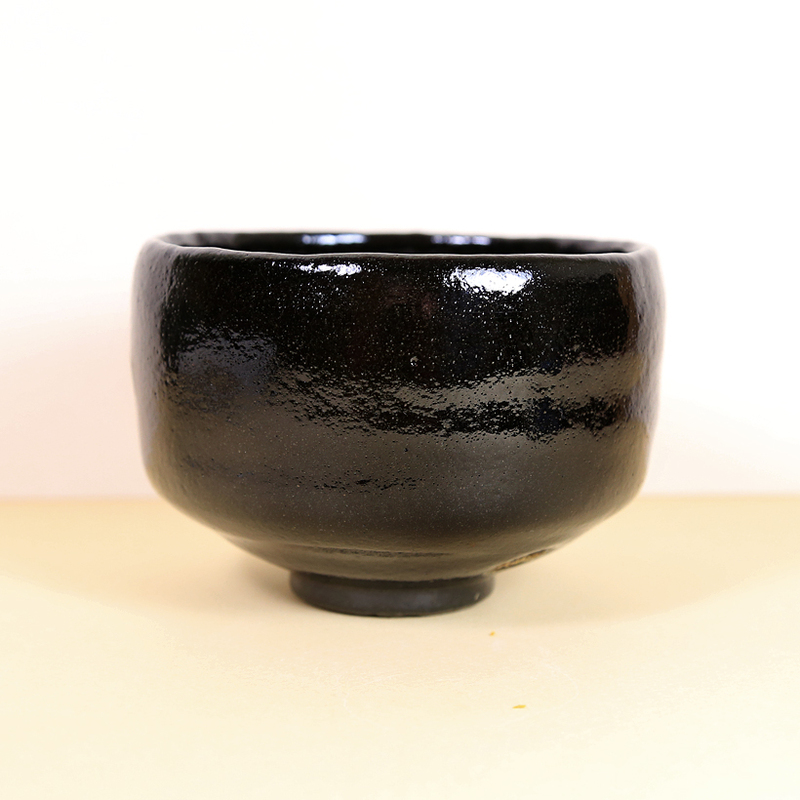 Note: Hayafune tea bowl has a tiny chip in the glaze on the rim in the spot where the right thumb rests when holding the tea bowl. 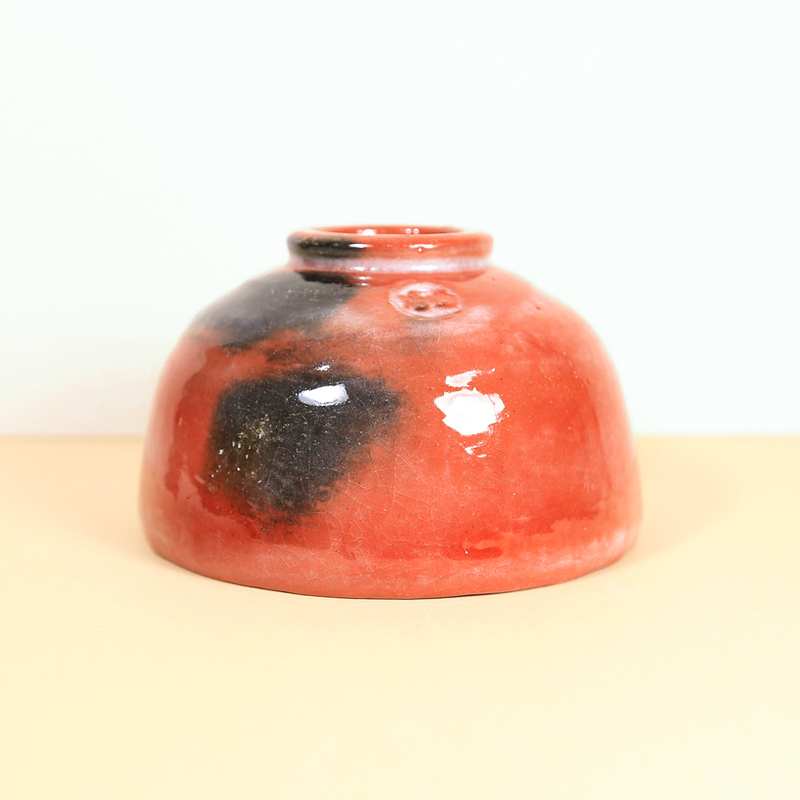 This spot has been stabilized so no further damage will come of it, especially in this out-of-the-way-place on the rim.